There shall be no binding contract between Lesmar Limited trading as Prominate (“Prominate UK”) and the Seller until the Seller has been issued with a written Purchase Order detailing a Purchase Order Number by Prominate UK. These conditions shall apply to the exclusion of all other terms of Seller, except as specifically agreed in writing by Prominate UK. Acceptance of the order shall be deemed to indicate the Seller’s agreement to these conditions. The quantity of items delivered by the Seller should match the exact quantity ordered except where specifically otherwise agreed in writing. All items manufactured under this agreement shall be free from defects in the material and workmanship. Claims for defective or non-conforming items shall be made to the Seller as soon as practical after discovery. In the event of such rejection, the Seller shall, at Prominate UK’s option, replace the rejected items at no extra cost to Prominate UK or give Prominate UK a credit for the rejected items. Any shipping charges on replaced items shall be borne by the Seller. Items delivered under this agreement shall be produced in compliance with all applicable laws, rules and regulations. Notwithstanding anything contrary herein, failure to comply with this section shall be deemed to be a material breach by the Seller and shall entitle Prominate UK to terminate this agreement, and any orders, forthwith without compensation and without prejudice to any other rights or remedies. The Seller shall indemnify Prominate UK in respect of loss, damage, costs, charges, notices or demands that may arise directly or indirectly from such a breach. Title and risk to the items shall be deemed to have passed to Prominate UK upon unconditional receipt or acceptance of the same by the delivery. 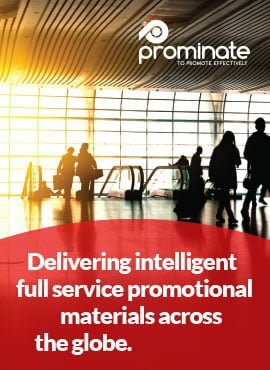 Prominate UK may reject non-conforming items and shall have no obligation to pay for such items. Prominate UK shall inform the Seller of any such discrepancy. Such items will be held for the Sellers instructions at the Sellers cost and risk. Time is off the essence of this contract. The Seller shall fully indemnify Prominate UK in respect of loss, damage, costs, charges, notices or demands that may be suffered by Prominate UK due to late delivery, short delivery or non-delivery, as well as any defects in the items that may have been accepted by Prominate UK. Each party agrees to take all reasonable steps to prevent disclosure of confidential information received from the other party, with the exception of complying with any relevant laws, statutes or regulations. Unless otherwise agreed in writing between the parties, any designs, drawings, specifications, or other information furnished by one party to the other shall be deemed to be confidential and to have been furnished solely for the performance of this agreement. Prominate UK is committed to minimisation of waste and the use of harmful chemicals and is also committed to the recycling of materials. Prominate UK expects all factories, suppliers and any third-party factories to be committed to minimisation of waste, the use of harmful chemicals and committed to the recycling of materials. To keep the Personal Data only for so long as is reasonably necessary and then permanently destroy all copies of the Personal Data. The Seller confirms that it abides by the Ethical Trade Initiative (ETI) Base Code, which can be found at URL https://ethicaltrade.org/eti-base-code. The Seller must ensure that any third party suppliers in the Seller’s supply chain also comply with the ETI Base Code as to above URL. Appropriate measures for ensuring compliance include the use of the following. Where the third-party supplier is located in a low risk country according to Maplecroft definition of Human Rights Risk and they have ‘self-certified’ in writing to confirm their compliance with the ETI Base Code (or close equivalent but prior written agreement with Prominate UK). Any major breaches of non-compliance must be promptly reported to Prominate UK in writing to purchasing-uk@prominate.com. If the Seller fails to comply with the above, Prominate UK may, at its sole discretion terminate any agreement or contract that it has with the Seller with immediate effect. Each party agrees not to violate any applicable Anti-Bribery Laws and that it has in place adequate procedures to prevent bribery and ensure that all personnel, others associates, and subcontractors of that party shall not make or receive any bribe as defined in the Bribery Act 2010 or any other improper payment either in the UK or elsewhere. Each party shall immediately notify the other as soon as it becomes aware of any breach or possible breach. The Seller undertakes that they, nor any personnel, other associates, or subcontractors has committed an offence under the Modern Slavery Act 2015; been notified that it is subject to an investigation relating to an alleged offence or prosecution under the Modern Slavery Act 2015; or is aware of any circumstances within its supply chain that could give rise to an investigation relating to an alleged offence or prosecution under the Modern Slavery Act 2015. The Seller will comply with the Modern Slavery Act 2015 and shall notify immediately in writing if it becomes aware that they, any personnel, other associates or subcontractors have breached their obligations within this clause.